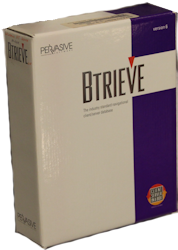 The Btrieve 6.15 database engine provides you with the the best navigational database technology of the 1990's! These engines are supported on either Novell NetWare or Windows NT/2000 Servers and Workstations. These licenses are valid for either Windows or NetWare servers. Please note, however, that each engine is PLATFORM DEPENDENT, and you cannot use a license on a different platform. Also, licenses are fixed in size, and NOT stackable. The original Pervasive part number for the 10-User engine is 10-150812-02 (NetWare) and 10-150612-02 (Windows). The original Pervasive part number for the 10-User engine upgrade from the 5-User is 10-160812-1-01 (NetWare). The original Pervasive part number for the 20-User engine is 10-150813-02 (NetWare). The original Pervasive part number for the 50-User engine is 10-150614-02.